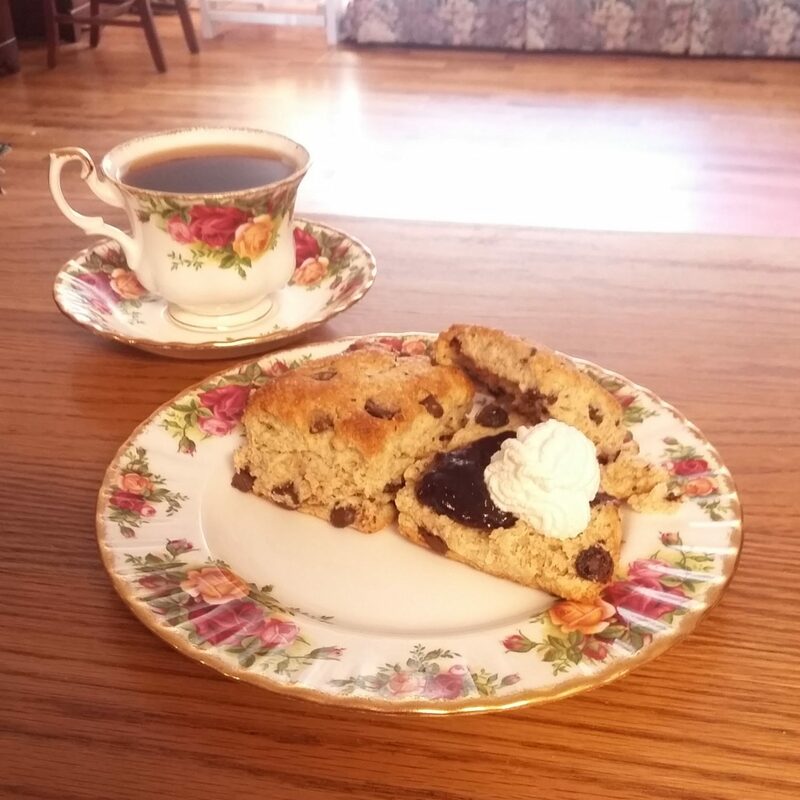 Chocolate Chip Scones, a family tested favorite! This recipe is for scones made with chocolate chips. Every so often (and not nearly enough) we have a family day that we set aside to spending time together. We all take the day off & spend the day doing fun stuff together that we don’t normally have time to do! On family day, we have a preplanned meal schedule that we try to keep to, these scones are breakfast, & fry-bread is the evening meal (subscribe to the blog at the bottom & you just might see that on a future post)! It’s been a tradition now for about 15 years & we hope it’ll stick with all the kids too, which is very likely! Scones are Scottish/English pastries and I got to try the real deal on a trip to Scotland, the land of my ancestors. In a cookbook, I found a recipe that I thought was better than the original and then went from there. I changed some of the white flour to wheat & oat flour since our family likes the whole grains & we were pleasantly surprised: the whole wheat added a nutty flavor that worked well & the oats did too, as well as giving it true Scottish flavor (oats were the staff of life in Scotland)! Then we added chocolate chips to really up the health factor 😉 & once again weren’t disappointed! 2: Whisk together the first 4 ingredients in a large bowl. 3: Cut in the butter until only pea-sized chunks are left. 4: Stir in the chocolate chips. 5: Stir in the cream. 6: Bake for 12-14 minutes or until light to medium golden brown. 7: Let cool for 10 minutes, then serve with whipped cream and raspberry preserves. How many scones does this make? Do you cut them in squares (as the photo might indicate) or do the traditional scone shape? The recipe makes ~ 12 two inch round scones. We typically double the recipe. We usually make them round, but occasionally we pat them out once and cut them into the traditional scone shape.